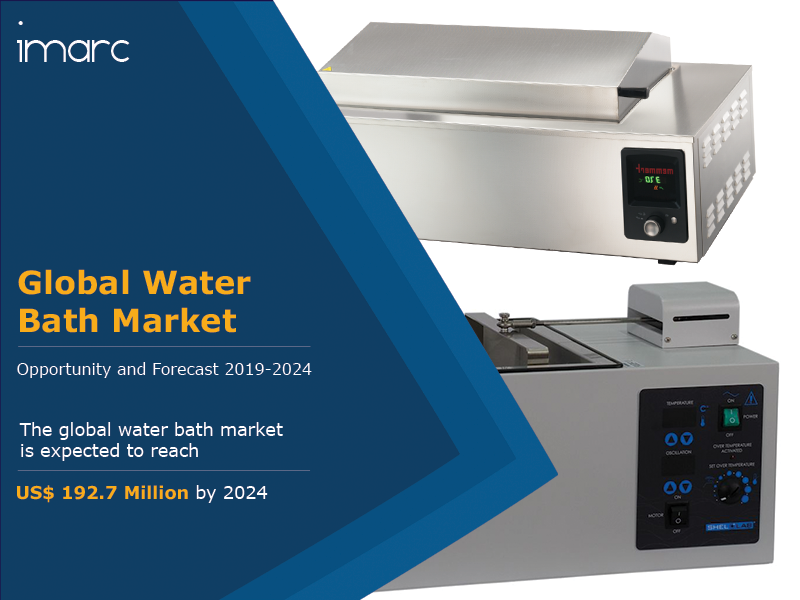 The global water bath market was worth US$ 143.8 Million in 2018. A water bath refers to laboratory equipment which is used to incubate samples in water at a fixed temperature for an extended period. It generally consists of a heating unit, stainless-steel chamber, and digital or analog control interface which assists users in setting-up the preferred temperature and duration. Different variants of this equipment are currently available in the market that offer functional advantages such as maintaining uniformity in the water temperature and keeping samples in motion while being heated. Apart from the utilization of pH meters, gas chromatographs, water activity meters and high-performance liquid chromatography (HPLC) systems, food testing laboratories are now employing water baths to ensure and maintain the quality of packaged-, processed- and fast food products. This trend can be accredited to the implementation of stringent regulations by governments and food regulating authorities in a number of countries. Moreover, they find applications across protein engineering and molecular biology which are strengthening the growth of the market. Further, manufacturers are investing in research and development activities to expand their consumer-base and incorporate advanced technologies in the devices. In addition to this, the growing e-commerce industry is aiding manufacturers to make the overall distribution of their products to new regions more convenient. Looking forward, IMARC Group expects the market to reach a value of US$ 192.7 Million by 2024, exhibiting a CAGR of around 5% during 2019-2024. The report has also analysed the competitive landscape of the market with some of the key players being Thermo Fisher Scientific Inc, Grant Instruments, PolyScience, Julabo Labortechnik, Thomas Scientific, Bel-Art Products, Inc., Boekel Scientific, Edvotek Inc., LAUDA-Brinkmann, LP, Sheldon Manufacturing Inc., etc. How has the global water bath market performed so far and how will it perform in the coming years? What are the key regional markets in the global water bath industry? What are the various stages in the value chain of the global water bath industry? What are the key driving factors and challenges in the global water bath industry? What is the structure of the global water bath industry and who are the key players? What is the degree of competition in the global water bath industry? What are the profit margins in the global water bath industry?